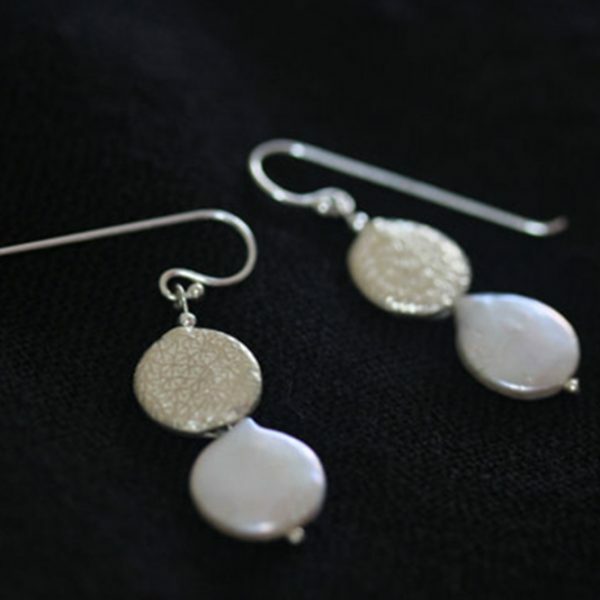 These handmade silver earrings are a part of our latest “Galileo” collection, inspired by the great Renaissance scientist’s astronomy studies. 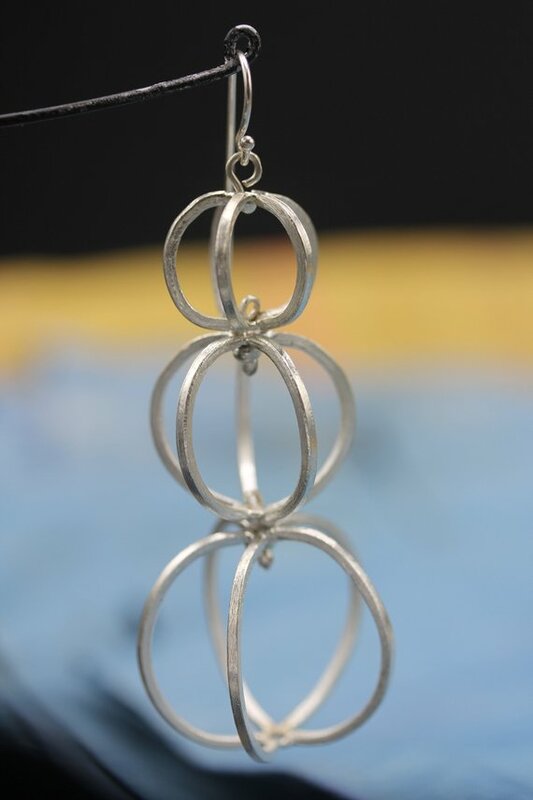 There are three variations of dangle earrings as well as two necklaces that form this collection. 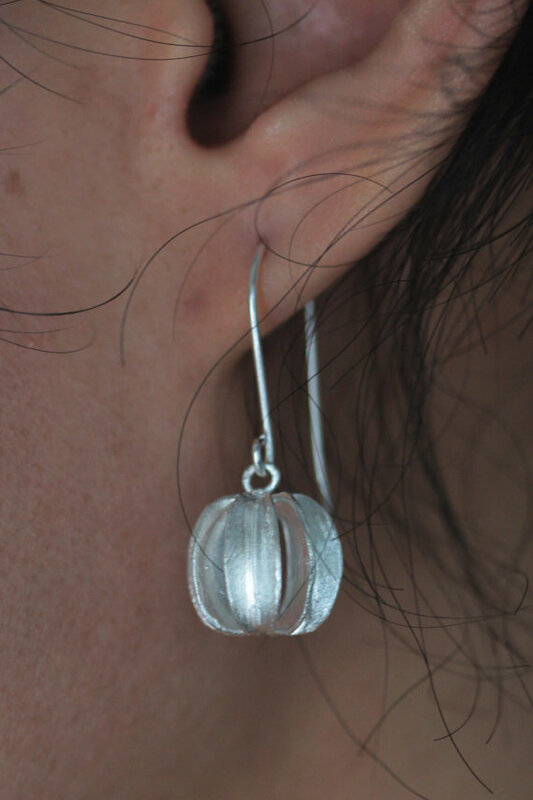 The wire spheres are created from 2mm thick silver wire, that were curved and soldered to create the shape of a wire-sphere. 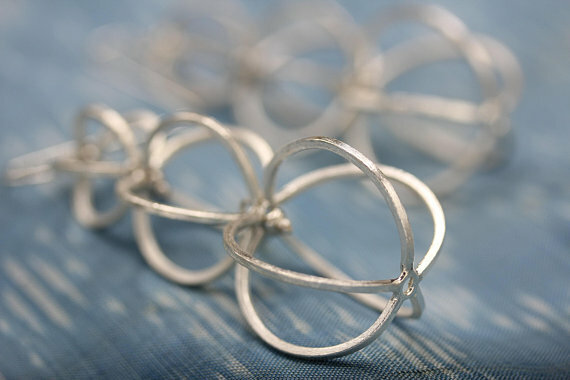 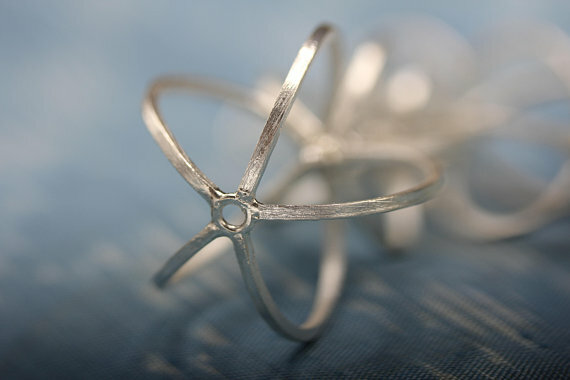 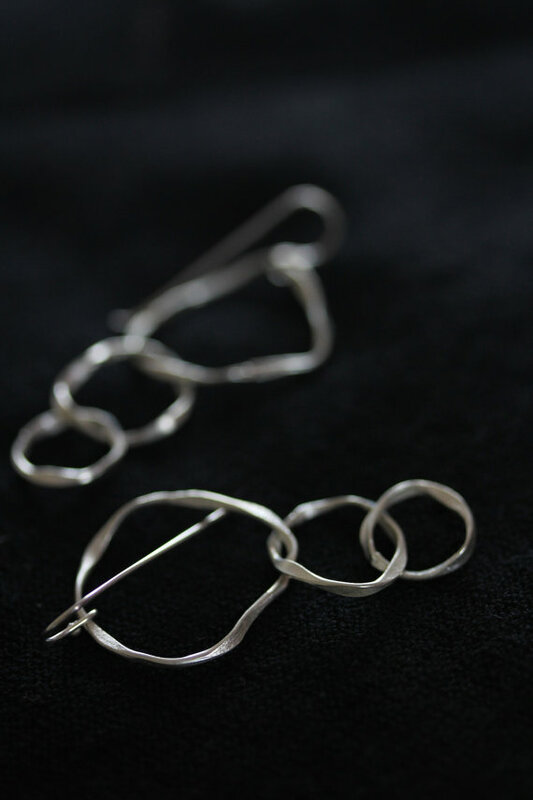 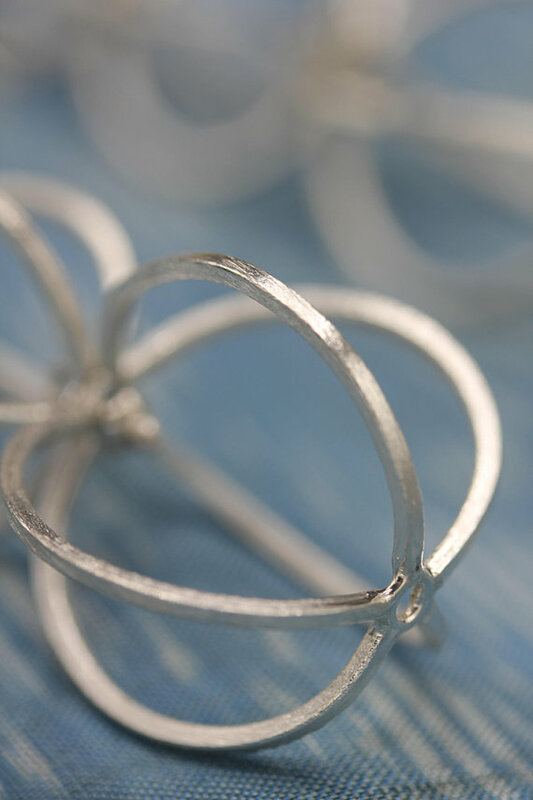 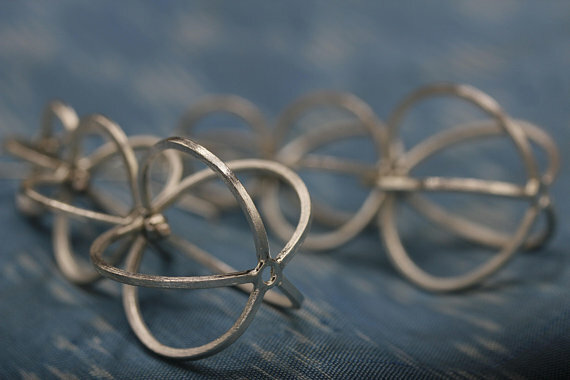 The three spheres are connected between them so they can move slightly, as they hang from a long-end sterling silver hook. 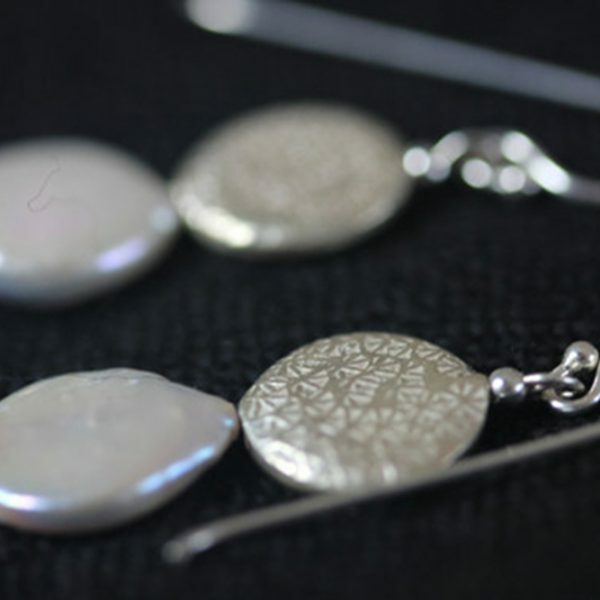 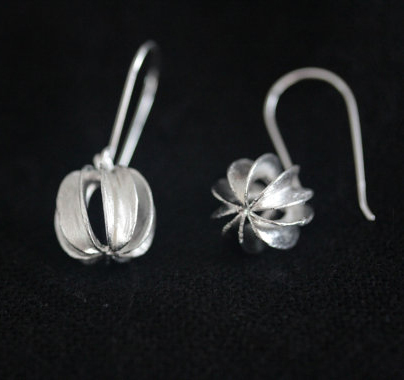 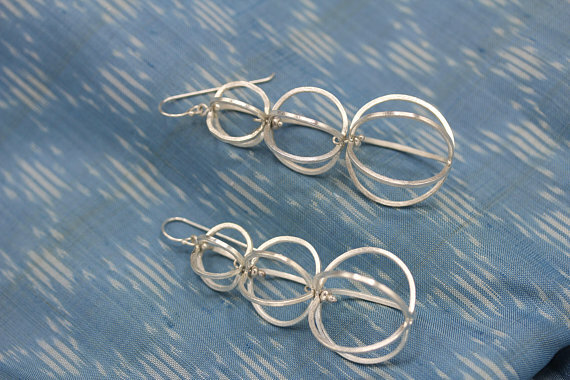 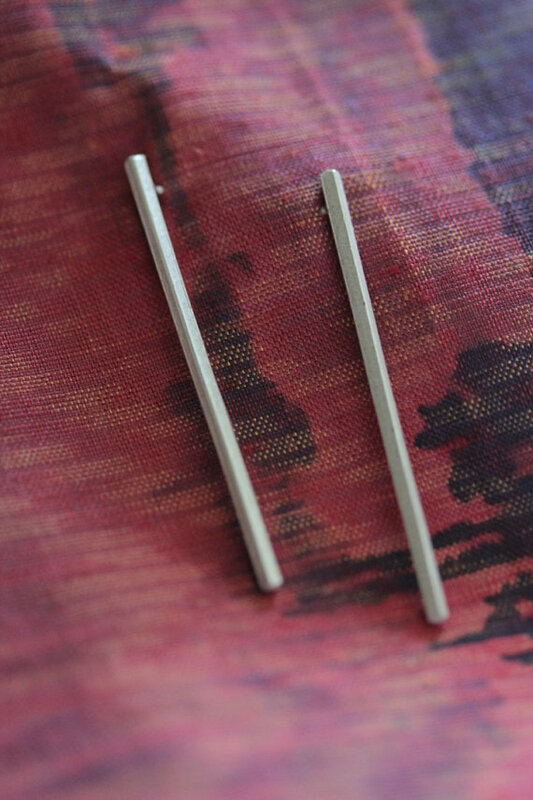 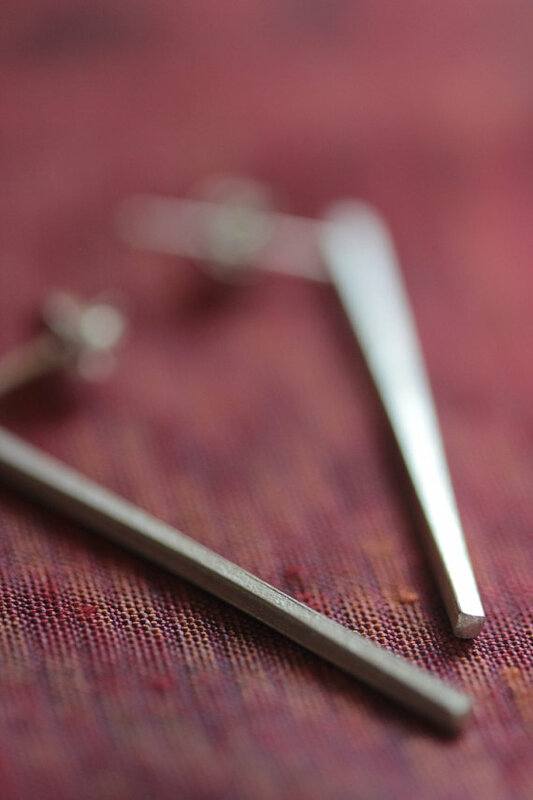 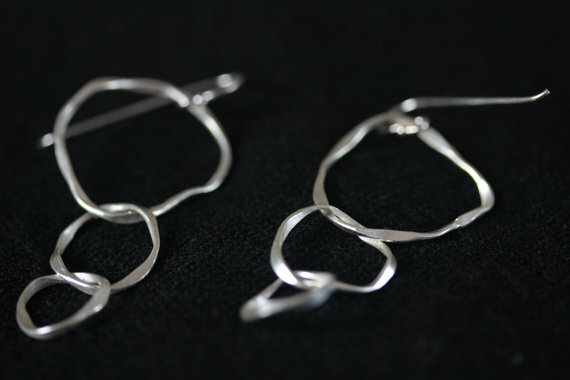 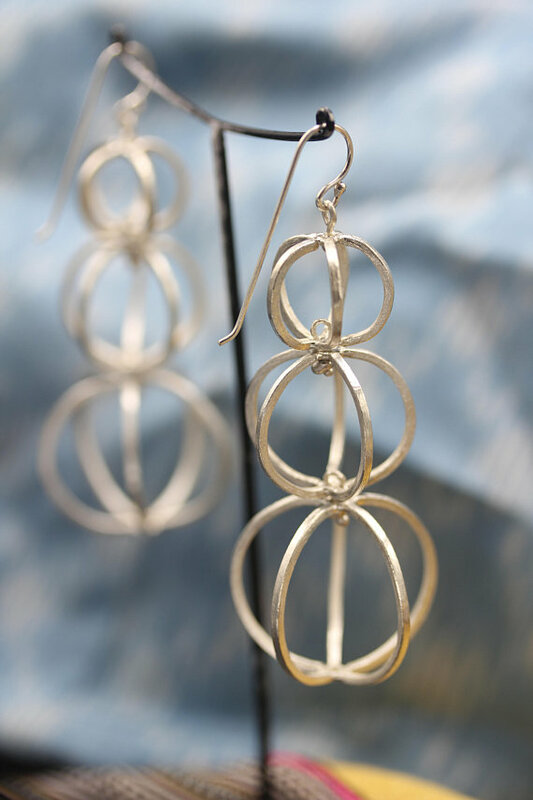 The earrings are made of 95% silver, typically used by Thai Karen silversmiths. 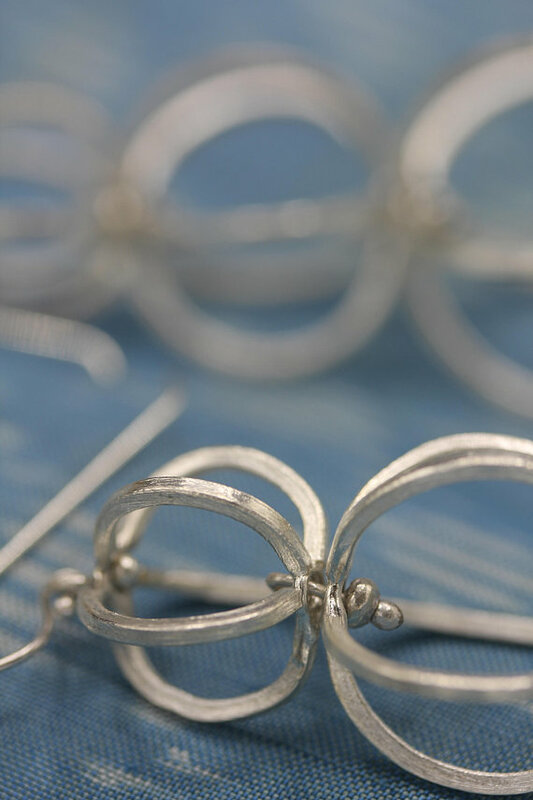 Every piece is handmade and individually crafted.